Bausch + Lomb Lenses - Weblens - Your Contactlenses Online ! Looking for Bausch & Lomb lenses? Weblens offers you a wide range of Bausch & Lomb Contact lenses. Order them online today easily! Bausch and Lomb offers a wide range of daily lenses, monthly lenses, color lenses, toric lenses and multifocal lenses from the brands Soflens Bausch & Lomb and PureVision Bausch & Lomb. In addition, Bausch and Lomb also have lenses for lenses from ReNu. 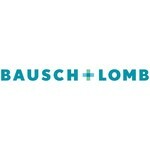 Bausch & Lomb originated in 1853 in the United States. The team, consisting of the two German immigrants John Jacob Bausch, a strong optician, and Henry C. Lomb, financially responsible, started with a small company that produced monocles. After the success in monocles, Bausch & Lomb started to manufacture microscopes, camera lenses, binoculars and telescopes. After the Second World War Bausch & Lomb started experimenting in contact lenses. In 1971 Bausch & Lomb brought their first contact lenses on the market under the name Bausch & Lomb Soflens, which by a new composition were much softer and more pleasant to wear than the other existing lenses. Bausch & Lomb quickly became the market leader in the production of contact lenses and the international company of today. View our range of Bausch & Lomb lenses online and enjoy their expertise!